Have you ever visited an art gallery or museum and thought “What were they thinking? This isn’t art.” or “How can they call this art!” Are you someone who wants to have a better understanding of Modern Art? 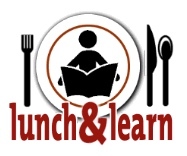 Then join our lunch and learn discussions! Introductory topics will focus on how to look at art, analyze form, and determine style. Later discussion will delve into the various purposes of art, levels of content, and contextual influences. These lively discussions will be led by Kimberly Darling, a retired Scott Community College instructor of History of 20th Century Art and Architecture.